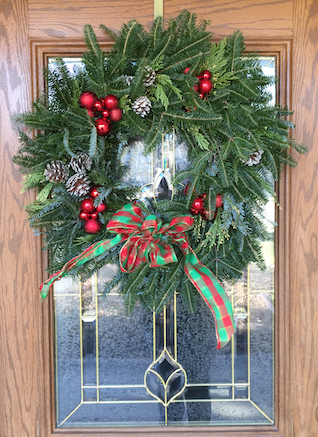 The Wreath Bow Conundrum – Entertainment Ave! Christmas is challenging enough without this dilemma being answered for us, and a word of warning as you are shopping for your wreath, you might want to decide if you are a bow-top or bow-bottom kind of wreath person because, if you purchase said wreath, and that bow is not how you believe it should be positioned, you will be tormented every time you come home, look at your door, and your Christmas season of joy will be ruined again as you exclaim, “Dammit, that bow should be on the top!”, or vice versa. So, to help with your holiday decorating, I’m going to ask and wonder now: Should the bow on a wreath go on the top or bottom? Make note of your answer so that as you are picking out that wreath for your door, window, or side of the house, you will not make the mistake of getting the wrong variation and completely ruining your Christmas joy. Previous Previous post: How Much Does This Cost? I Must Be At Macy’s.